Dan provides lab safety training in a variety of ways. He can train individuals or groups on site or remotely using virtual training sessions and follow-up phone sessions. Need training about OSHA, bloodborne pathogens, or PPE? Are you new to lab safety and need individualized training? Call Dan to see how he can provide your lab safety training needs. Are you looking for a professional speaker for your next event? Do you need an engaging speaker who can make learning fun? Dan has years of experience presenting in front of large or small groups. He has several lab safety topics ready to present or he can customize topics based on your needs. Contact Dan today for availability and pricing. If your lab safety program is not where it needs to be, contact Dan for personalized coaching. Understanding chemical hazards, fire safety, EPA waste standards, and OSHA regulations can be confusing, and Dan can provide one-on-one or group coaching sessions (on-site or remote) to help you move your lab safety culture to where it needs to be. Do you need help preparing for your next inspection and don’t know where to begin? 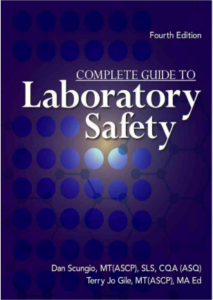 Do you need a lab safety manual? Contact Dan to learn about his many consulting options including on-site group training, inspection readiness assessments, and laboratory safety evaluations. Individualized options and packages are available. 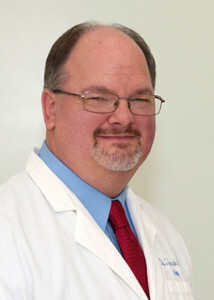 Daniel J. Scungio, MT (ASCP), SLS, CQA (ASQ) has over 25 years of experience as a certified Medical Technologist. He has a bachelor’s degree in Medical Technology from the State University of New York at Buffalo in Amherst and Buffalo, New York. Dan worked as a laboratory generalist in hospitals ranging in size from 75 to 800 beds before becoming a laboratory manager. After 10 years of lab management, he became the Laboratory Safety Officer for a system of more than 10 hospitals and over 20 laboratories and draw sites in the Tidewater area of Virginia. As a laboratory safety consultant and a safety officer, Dan has provided on-site education and safety training for labs of all sizes. He has become an international speaker and consultant who helps organizations create safety savvy laboratories. Dan understands the complex safety issues facing laboratories today including Chemical Hazards, Bloodborne Pathogens, Formaldehyde, Fire Safety, PPE, Tuberculosis and the handling of diagnostic and infectious specimens for transport. Dan has authored several published safety articles for well-read laboratory publications such as Medical Laboratory Observer (MLO), Advance for Laboratory, Clinical Lab Products, Medical Lab Management, and Clinical Laboratory Management Review (CLMR). 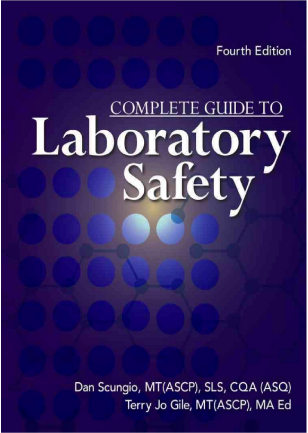 Dan is also the author of three lab safety books, the fourth edition of the Complete Guide to Laboratory Safety (with Terry Jo Gile), Lab Safety Training Made Simple, and 101 Laboratory Safety Questions and Answers. "The Safety Academy is a great source of safety knowledge for all laboratory professionals. Dan is even willing to help answer personnel questions that are not covered in the webinars. He is my “go to” for anything safety related when I am not sure what it takes to remain in compliance." "I wish I had taken this course when I first became a safety officer. Dan shares his many years of experience as a safety officer and guides you to resources you never knew you needed. Also, you have the opportunity to network with other safety officers from around the country." "I have been an academy member for 5 years, and have gained more from this than anything else. Your questions get answered, you learn from other people’s questions, and you find where the answers are! Information gained from the Academies and Concierge Program played an important role in attaining my (ASCP) QLS certification!" Join Dan's mailing list to receive news, updates, and helpful information. We always respect your privacy and never send spam.